While it is a commonly known fact that women who are pregnant should refrain from drinking alcohol or smoking cigarettes while pregnant. These substances have been proven to have negative effects on babies but what about cannabis? The plant is all natural and can help with some of the problems that some women have during pregnancy. But is it safe? This question has been in debate since the 1960s and continues to puzzle researchers today, as old “studies” are debunked and new ones are done. While it is rumored that cannabis does cause some birth complications, more and more people are beginning to think otherwise. Many studies have been done on the effects of cannabis on a developing fetus but the subject definitely still remains problematic. A good deal of the studies that have been done have relied on the pregnant mother to supply her own data. The mothers may have misreported use, whether they forgot or didn’t want to disclose for personal reasons. These self-reporting studies are extremely unreliable because of this but thankfully, there are a few concrete studies that seem to say that using cannabis while pregnant is fine. In Jamaica, Dr. Melanie Dreher, who was the dean of nursing at Rush Medical Center in Chicago at the time of the study (now retired), looked at pregnant mothers before and after they had their babies. The mothers were part of a community in rural Jamaica, some who were using cannabis to treat their morning sickness and some that weren’t using cannabis at all. After the babies were born, she used the Neonatal Assessment Scale at three days and again at one month to measure the babies’ neurological performance as well as behavior. She expected to find complications such as low birth weight or issues with neurological development but she found none of that. In actuality, the babies who were born to mothers who used cannabis showed better social skills than the babies born to mothers who didn’t. Although the results of this study look promising, Dr. Dreher was quick to say that the improvements noted in the study weren’t directly correlated to cannabis use by the mothers. It could have very well been the way the child was being raised at home that had this effect. She presented the example that many of the mothers she observed that smoked were also selling cannabis from home, meaning that they spent a great deal of time with their children, providing a more family orientated environment. The experiment was conducted again when the children reached age four but Dr. Dreher says that the performance was not directly related to cannabis exposure. “We would have done another study but the National Institute of Health really was not interested in funding a study that did not show something negative about cannabis,” she said. Overall, it seems that most doctors don’t recommend using cannabis or anything else during pregnancy. The majority agree that it is best to stay as substance free as possible while pregnant. It definitely can be hard, especially with swollen ankles and morning sickness but until more studies are presented in regards to the effects THC might have on a fetus, it is a good idea to stay safe. It would be beneficial for more studies to be done on this subject, however, as cannabis has also shown to provide immense relief for expecting mothers. 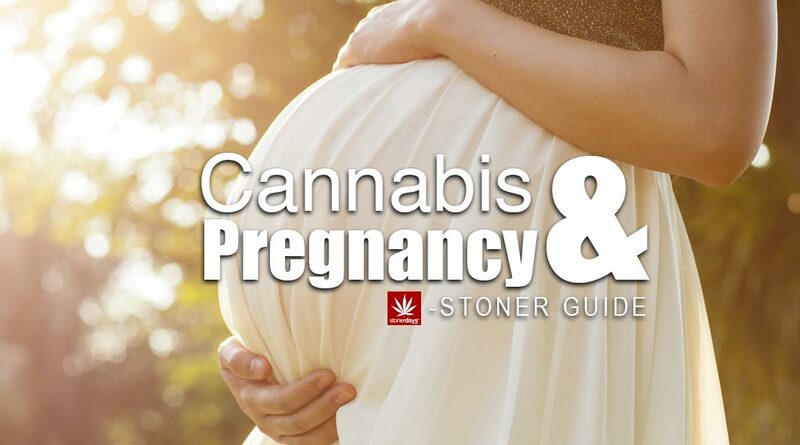 This entry was posted in Featured, Stoner Guide and tagged cannabis, Pregnancy.